At Handy Mariner, we are big fans of the Chain Sennit. 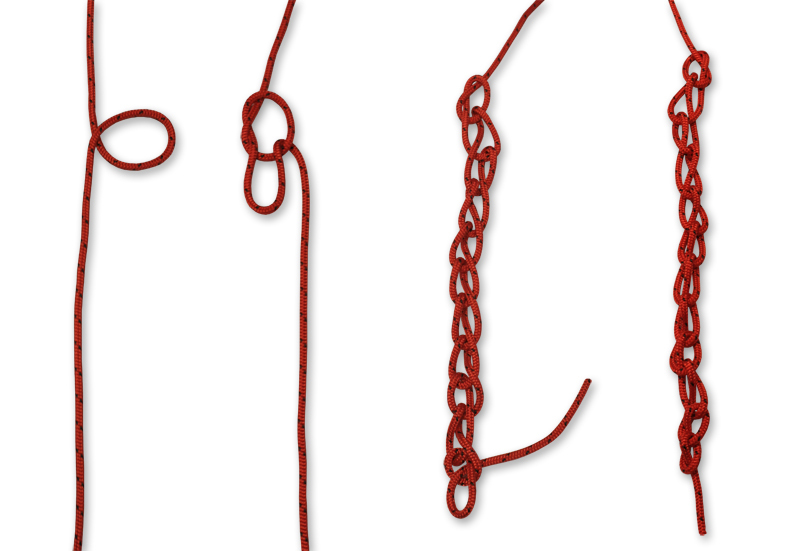 A series of interlinked loops, the Chain Sennit can be used to temporarily shorten a rope. 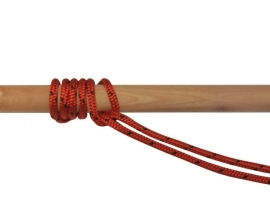 It quick and easy to tie and can be undone by simply pulling the end, making it perfect to keep ropes neat without to much work. 1. 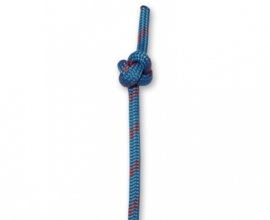 Create a crossing turn by passing the rope over top of itself. 2. 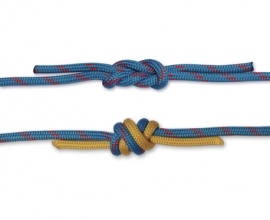 Make a bight in your working end and pass it through the crossing turn, back to front. 3. Make another bight in your working end and pass it through the bight you made in step 2, back to front. 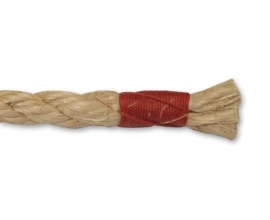 Keep making bights and tucking them through the previous bight until you’re at the end of your rope. 4. To finish it off and keep the sennit put, tuck the tail (without making a bight this time) through the last bight, back to front. To undo the sennit, simply pull the tail back though that last bight. Now keep pulling on the tail until the sennit is undone. TIP! Use a Chain Sennit in your dinghy painter to keep it neat, short and out of the way. When attaching the painter to a dock or your boat, slip the tail back through the last loop, tie it off and it’ll undo itself.